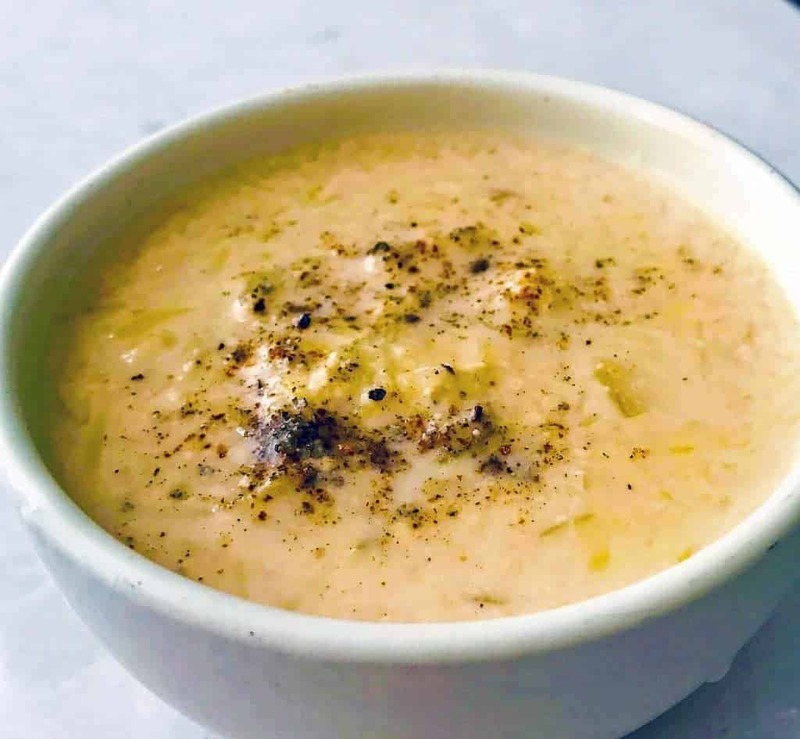 This recipe for Pressure Cooker Indian Zucchini Kheer recipe is a bit of a fusion recipe, because we don’t actually have Zucchini in India. We do have a kheer we make using something called a bottle gourd, which I’ve never seen in the U.S. But I had a bunch of zucchini sitting in the fridge staring at me balefully and I decided it was time to create a kheer recipe. The problem for me is that I can’t use condensed milk due to the sugar, and most of the kheer recipes out there definitely ask for condensed milk. I can see why because after all, it is a dessert, but more importantly, you want a thick base for any kheer, which condensed milk provides. So I thought well, I’ll just see about creating a kheer recipe with evaporated milk, because this way I can control the type of sugar that I put into it. And that is the story of how this Pressure Cooker Indian Zucchini Kheer Recipe came to be. 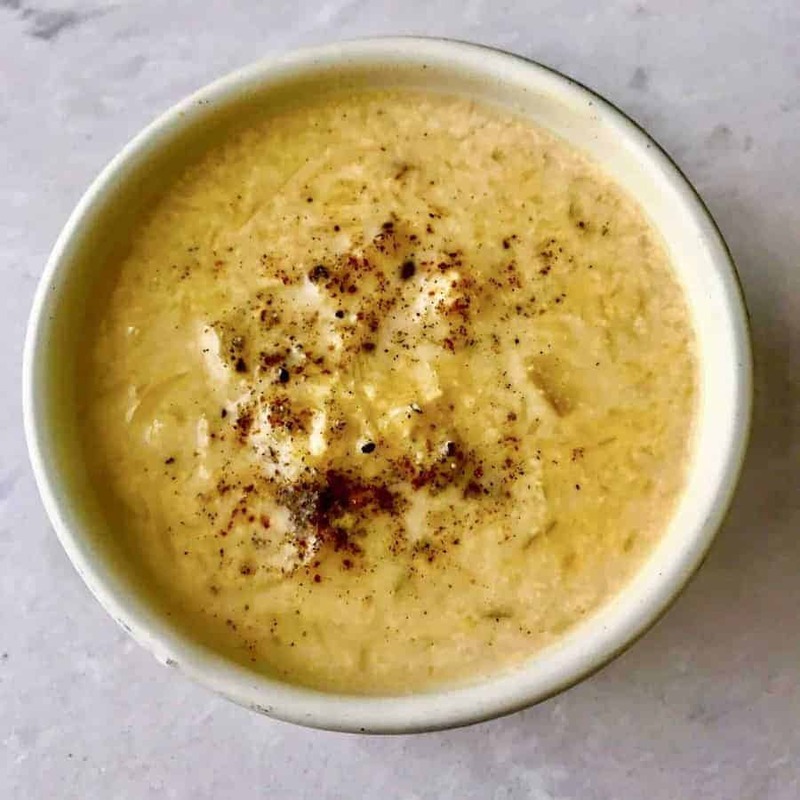 Super easy Indian Zucchini Kheer made in minutes in your pressure cooker or Instant Pot. Great way to use up all that summer zucchini in a sweet, exotic dessert. Place all ingredients except the ground cardamom into your pressure cooker. Cook for 10 minutes on high pressure. Allow it to release pressure naturally for 10 minutes and then release all remaining pressure. Add in ground cardamom and stir. Serve hot or allow it to chill before serving. I made this tonight after the Beef Shawarma and Tzatziki sauce. I was expecting it to be much thicker but it tasted heavenly!! My husband thought it tasted like apple strudel 🙂 I used cinnamon because my husband is not a big fan of cardamom and he thinks it tastes and smell like Vicks Vap Rub! Another winner! Can’t wait to see your cookbook which is coming tomorrow! I want to try this. May chicken out and use pumpkin pie spice, as well. Not yet convinced I love cardamom! Use what you love I say. Nothing wrong with pumpkin pie spice. You know, I think it’s worth try8ing. It may not be as thick witht he coconut milk so I’d try less liquid. I made this last night, using 1/3 cup organic sugar and substituted pumpkin pie spice for the cardamom as I’d run out. Absolutely delicious! I ate half the pot by myself after dinner. Cannot wait to make again! Oh I’m so glad to hear that! I love your substitutes. It’s so easy isn’t it?